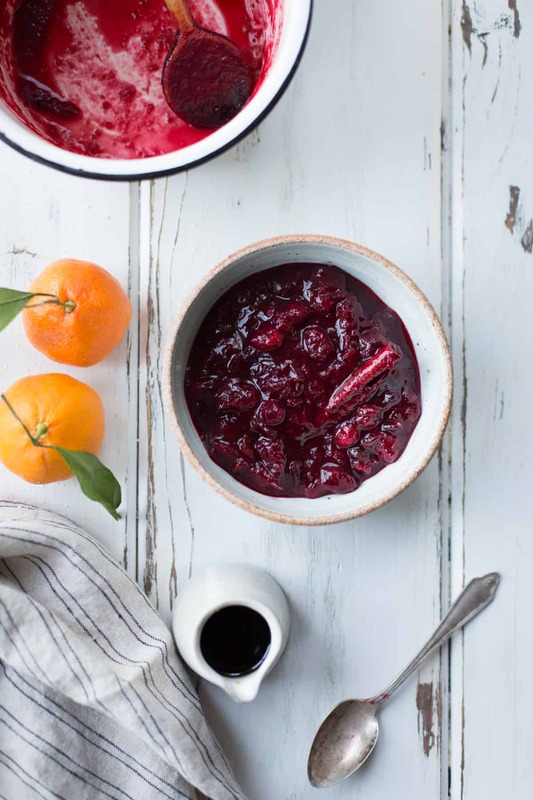 This thick cranberry compote gets sweetness from maple syrup, tangerine and cinnamon. Perfect for sweet or savory dishes. 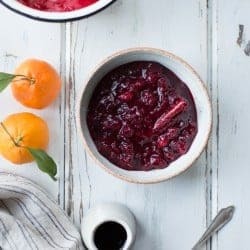 I never really get excited about cranberry sauce – I can take or leave it – but the other morning, I threw some ingredients together and cooked it into this thick compote, and wow. The maple tamed the tart berries, and the tangerine and spice play supporting back-up rolls, letting the clean flavor of the berries come through. 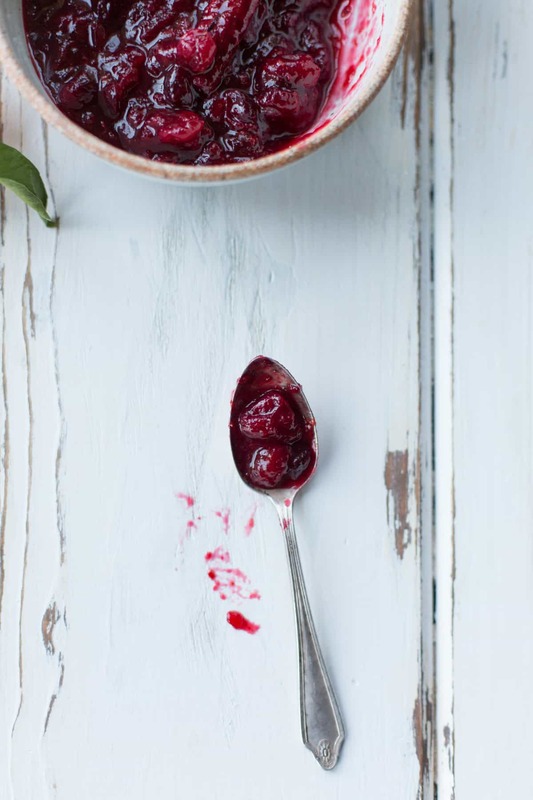 With all the richness of food during the holidays, a the hint of bitter tartness of cranberries has been a welcome addition at breakfast. 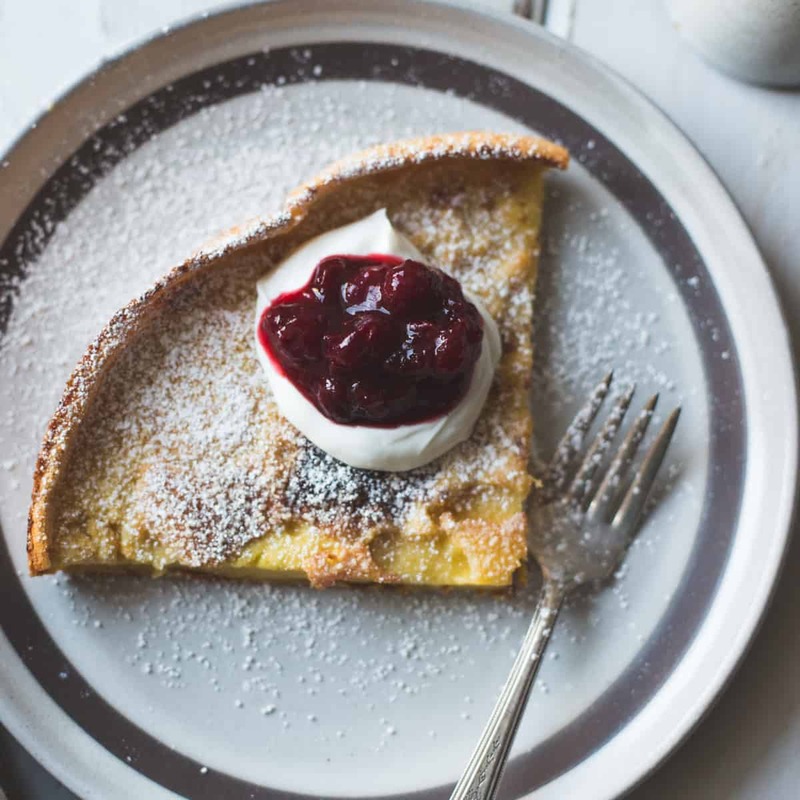 I’ve been loving this compote over dutch babies and spooned over yogurt, but it would make a grand addition to any Thanksgiving table, too. 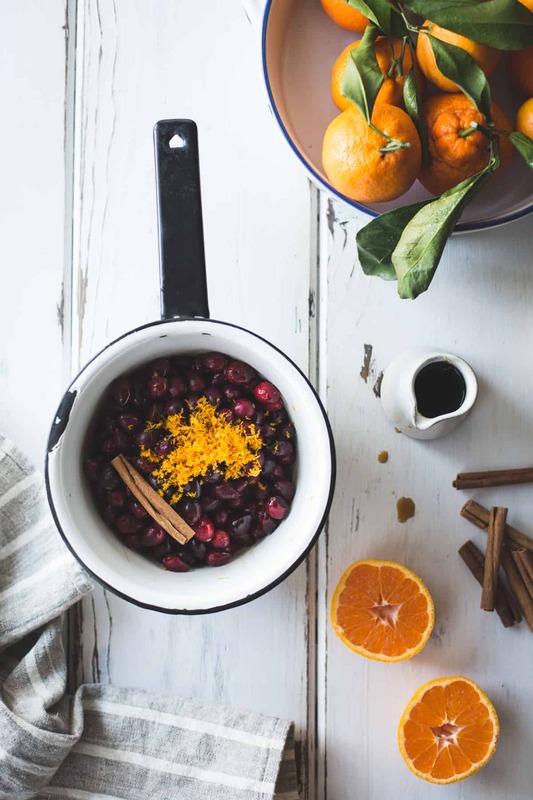 This recipe was inspired by one from Cookie + Kate, with enough maple syrup to tame the astringency of the berries and a little kiss of tangerine zest and juice and cinnamon. Plus it’s stupid easy to make – just throw everything into a pot and give it a simmer. 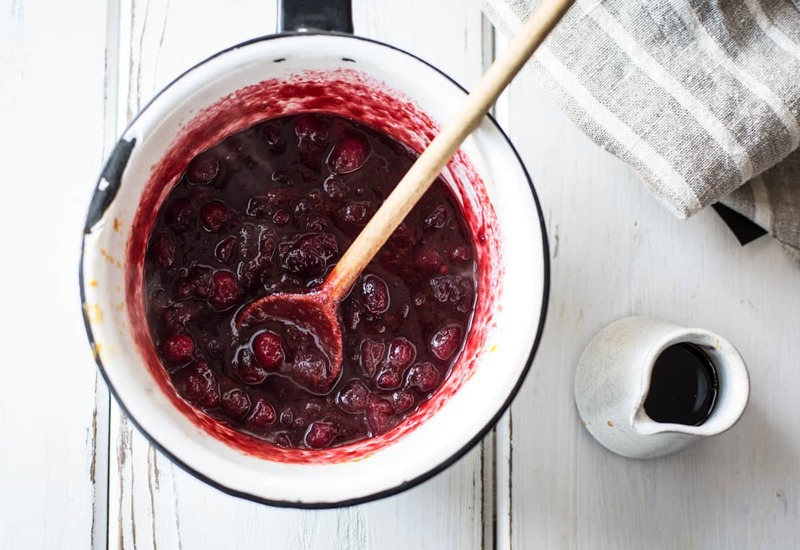 No need to chop the berries, they break down during the cooking process and turn out a chunky jam. This recipe makes more sauce than you’ll need for one dutch baby, and it keeps well for up to several weeks. 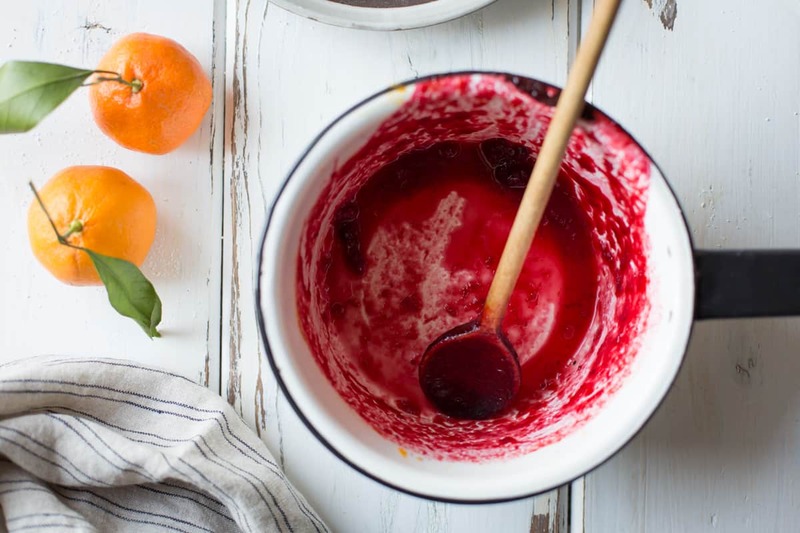 In a medium saucepan, combine the cranberries, maple syrup, tangerine zest and juice, cinnamon stick and water. Bring to a simmer over medium-high heat, then lower the heat to maintain a low simmer and cook, stirring occasionally, until the cranberries have broken down a bit and thickened into a compote, 25-30 minutes. It will continue to thicken as it cools. Serve warm, chilled, or at room temperature. The sauce keeps well, refrigerated airtight, for up to 2 weeks. i hear you- tart, fresh, clean flavors are super appealing now after i’ve eaten so much sugar and butter. 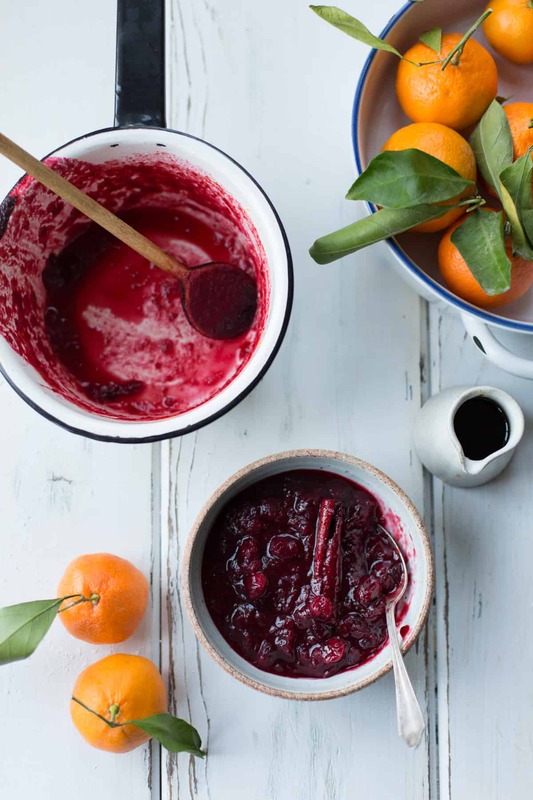 and i never get my cranberry sauce craving totally satisfied after thanksgiving, so this sounds perfect! might have to make a batch right now so i can swirl some into my oatmeal tomorrow. 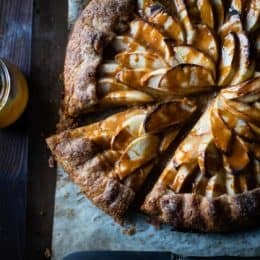 Any way we can cut refined sugar is a bonus! 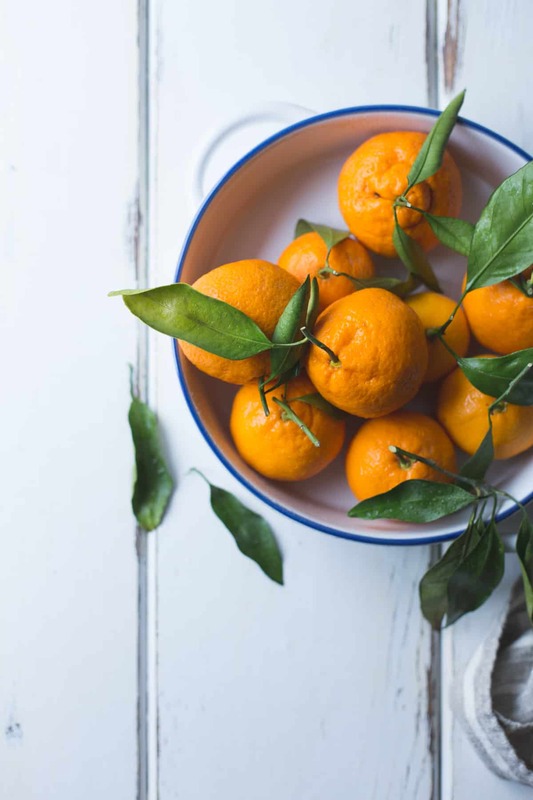 Love the addition of satsumas! Making it right now – have all the ingredients! 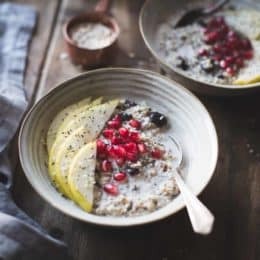 Looking forward to spooning it on overnight chia pudding in the morning. Thanks, Alanna – hope you’re having a lovely winter break! This seems wonderful! Can you advise me how to use it – do you think it is better on a cake or in a cream, or maybe something else? Thank you! Tried it with pancakes last Sunday and what can I say…EXQUISITE TASTE! Thanks for sharing! 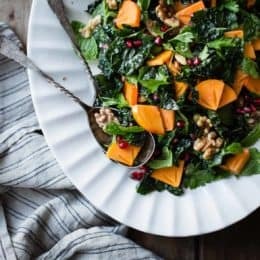 I just bought some fresh cranberries and was going to just make the traditional cranberry/orange relish, but this sounds (and looks) so much better!